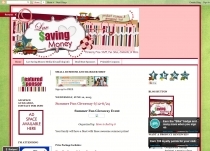 I received free tickets from US Family Guide to attend Brickfest Live in Monroeville, PA to complete this post. No other compensation was received. We are definitely a LEGO family. Any LEGO event that comes within a 50 mile radius, we’re there. Actually I heard about them opening a LEGOland near Philadelphia and my hubby and I were considering a trip with the family . LEGOs spark creativity, problem solving, pre-engineering skills, and more for little ones. And heck, I enjoy creating with them with the kids. 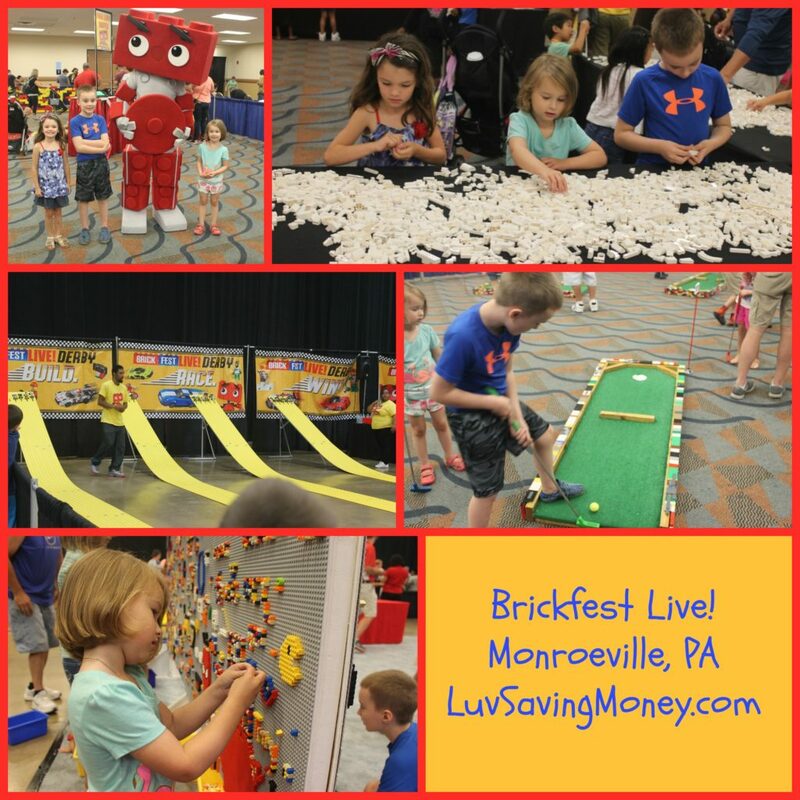 Brickfest Live at the Monroeville Convention Center was the perfect place for our LEGO loving family to have fun for all ages. We got there about 15 minutes late but we got right in. The staff was friendly and entry was pretty streamlined. 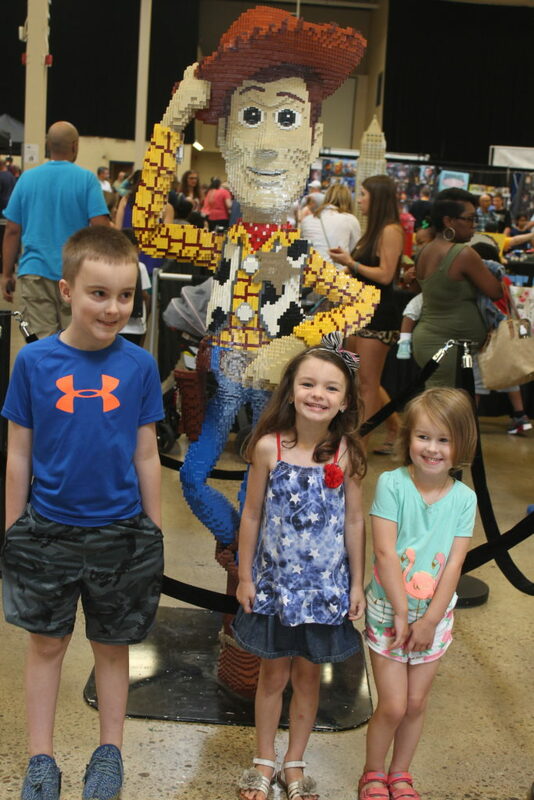 We were greeted by Woody from Toy Story built entirely out of LEGO bricks. The brick pit was made up to look like a swimming pool. The kids played for a while in there. They had tables set up around it so if the kids created something they could put it on a table to display for the day. There was so much to do. The kids got to try out some LEGO video games in the gaming section, we got to play LEGO mini-golf, We got to meet several characters, they did plenty of builds, and watched some LEGO car drag races. Another area the kids really enjoyed was the Make-A-Wish area. They had Star Wars characters there. 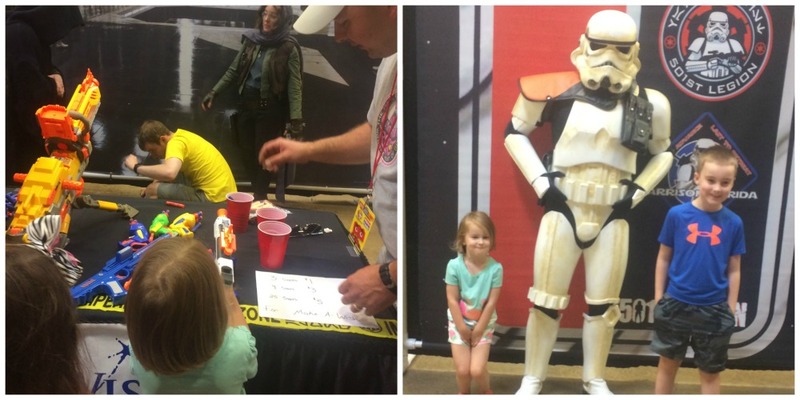 For a small donation the kids got to choose a Nerf gun and shoot at Star Wars characters. The staff there was super nice and very patient with the kids. They let me take several pictures. Even though they were being shot at repeatedly with nerf guns they were all smiles. I was more than happy to donate to such a great cause and the kids had a good time. 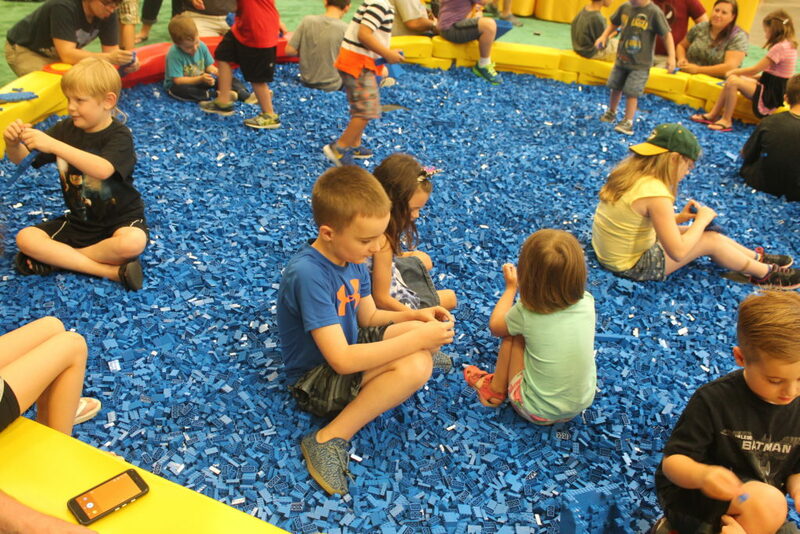 We always have a good time at these Brickfest Live! events. It’s hours of family fun . If you ever get the chance, I definitely recommend it.